Coffeehouse Junkie’s Blog is the home of media ‘zinesterism and collects articles and posting on subjects like: graphic design, creative writing and any other topic that seems to find a home here. Coffeehouse Junkie’s Blog strives to provide a repository of engaging ideas and thoughts. other sitings . . .
Purchase How long does it take to write a haiku? [Kindle Edition]! One autumn evening, during supper, a father tells his children about the poet Basho. They are filled with curiosity and questions. One child asks, how long does it take to write a haiku? 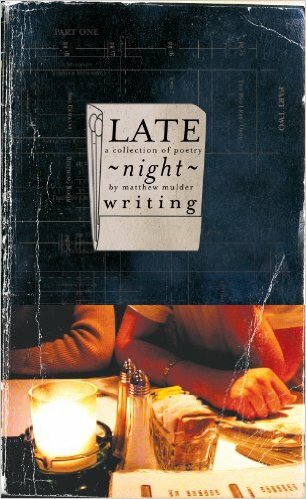 This collection features that story and others—plus a story that asks, is it possible to write a poem in your sleep? Purchase When the Lights Go Out [Kindle Edition]! A light breeze from the south carries echoes of stories about creative space, laptop versus hand-writing and more. A weather event prompted the author toward thoughts about our culture’s dependency on electricity and technology. These and other short stories complete this collection. Purchase The Vanishing Art of Letter Writing [Kindle Edition]! When was the last time you wrote a letter? Not an email, but a handwritten letter with pen, paper, envelope and postage. Learn about a legacy of letters from a WWII soldier discovered by a son who never met his father. Years later he learns about his father through a collection of old war letters.